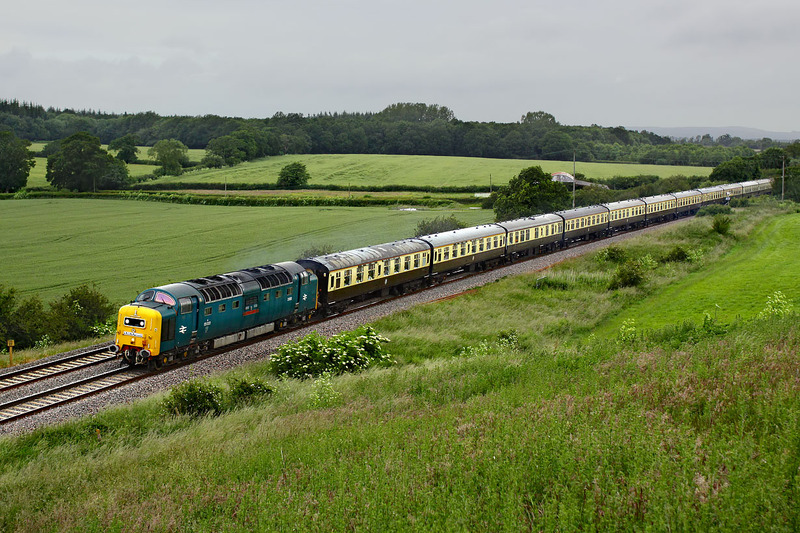 55022 Royal Scots Grey passes Damery in appalling light on 23 June 2012 with the Pathfinder Tours 1Z55 05:18 Birmingham International to Penzance 'Mazey Day Cornishman' railtour. After having seen 37516 & 37676 pass by with the 'Kernow Explorer' railtour less than half an hour before, I thought there might be a chance of the weather brightening up. Instead of that it got even darker, although naturally once I got home it was mainly sunny!